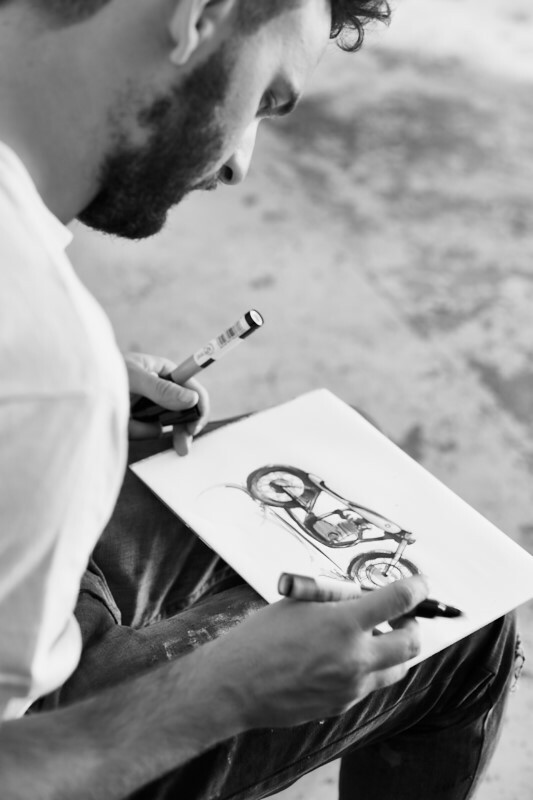 Founded in 2013 by brothers Bujar and Gazmend Muharremi, Auto Fabrica is a company specialising in the hand making and coach building of bespoke motorcycles. With all disciplines under one roof, based in Southend-on-Sea near London, the Auto Fabrica workshop is setup to design, prototype, manufacture a build from concept to final product. The principles of Auto Fabrica are to harmoniously balance function and form while delivering outstanding and unique products. A meticulous eye for detail and high levels of craftsmanship are key to its foundations. 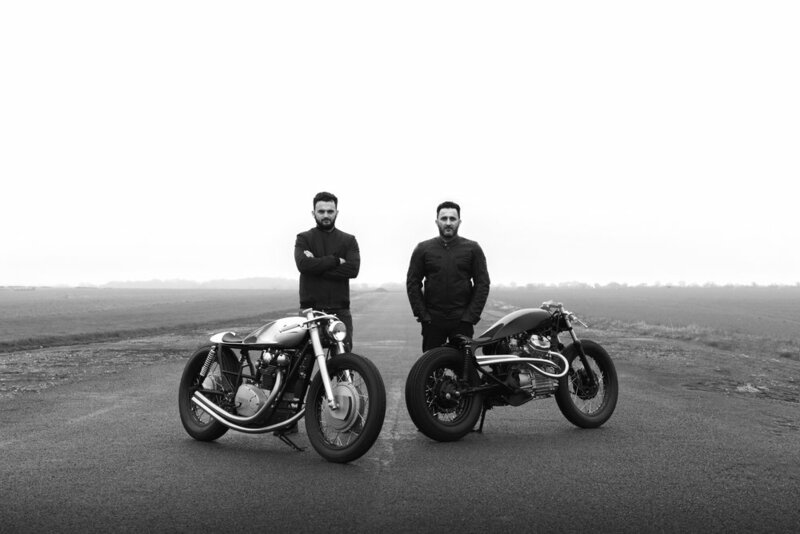 Brothers Bujar and Gaz, began exploring the boundaries of bike building in their Southend based single car garage in 2011. Starting as a plan to design and build a themselves a motorcycle that was not at the time obtainable to buy as both that didn't exist nor could they afford. Taking knowledge from their educations in Industrial and Automotive design, as well as experience in design consultancies over the years, strict guidelines of balancing form and function were adopted and the beginnings of the Auto Fabrica design language began. Matching the style of the bikes with the quality in parts, fit and finish were imperative and the overall attention to detail to every completed product remains key to the success of the company to this day. After work progressed on their bikes, it was quickly realised that the skills they were learning, their rapidly improving style and the quality of the fabrications they were creating meant that they could potentially create a business out of what they were doing. The name Auto Fabrica was dreamt up while working in the garage, appealing in it's simplicity, ability to be understood universally and applied to multiple disciplines it was confirmed to be the name of their exciting new business. Discussing and dreaming about the future, action was taken to move into a real workshop and investment in tools began, including the English wheel that was the key to being able to create the unique tanks and aluminium work you see on AF bikes today. After the release of the Kawasaki based Type 1 and followed quickly with the Yamaha based Type 2, coverage and acclaim of the brother's work began to spread worldwide. 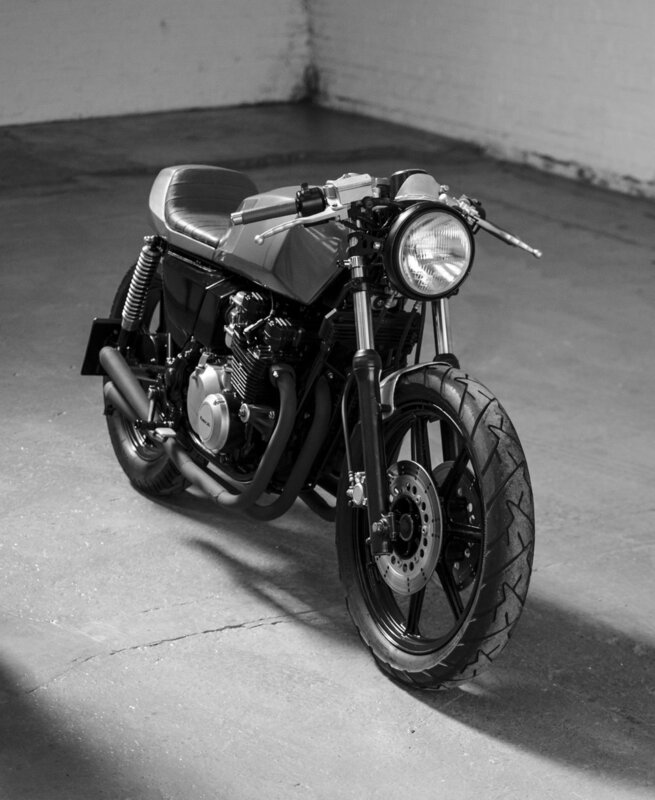 They became recognised for their distinctive style both in bike builds, design and imagery. The success of the first builds lead on to multiple commissioned projects and encouraged more self initiated build in order to push their boundaries. The growing success of Auto Fabrica, the motorcycles and the hard work of both Bujar and Gaz gained recognition internationally. The Type 6 graced the cover of the second edition of the prestigious 'The Ride' book, Both Type 6 & 8 were requested to be on display in the influential MB&F gallery to name a few. Hundreds of magazine publications, leading websites and industry leaders also championed the work of Auto Fabrica. A large following came naturally from Kosovo and Albania, where the brothers were born and where they still have strong connections and created a vision of what the possibilities are for aspiring designers and creatives out there. The future of Auto Fabrica is set to continue to impress. Staying true to it's values, the company is pushing itself further to offer continuing and outstanding results as a one-off bespoke motorcycle company, as well as start to explore the realms of high end limited run projects both in collaboration with OEM companies as well their own stand-alone ventures.